Nike has just revealed a new mid-top React silhouette. This new React Runner Mid WR ISPA sneak first appeared in July 2018 and showcases the tooling of a utilitarian look with rope-style laces, piping over the lacing system and straps up each side. The newly-released sneaker is set to drop in two colorways. 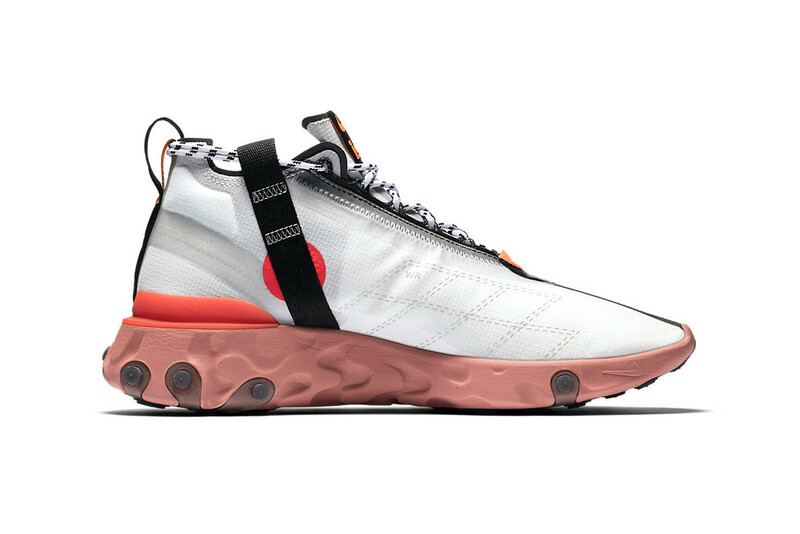 The first colorway features a white upper on top of an orange React Element sole unit. The second colorway will be wrapped in a blue and red upper with a white sole unit.